Historians have claimed that social stability returned to Korea after a series of devastating invasions by the Japanese and Manchus around the turn of the seventeenth century. Thus, the late Chosŏn dynasty is characterized as a period of unprecedented economic and cultural renaissance whose prosperity was firmly demonstrated in new programs and styles of visual art. This book questions this age-old belief by claiming that true-view landscape and genre paintings were most likely adopted to propagandize social harmony under Chosŏn rule and to justify the status, wealth, and land grabs of the ruling class. This volume also documents the popularity and misunderstanding of art books from China and, most controversially, Korean enthusiasm for artistic programs from Edo Japan to challenge academic stereotypes and nationalistic tendencies in the scholarship. As the first truly interdisciplinary study of Korean art and literature, A New Middle Kingdom points to realities of late Chosŏn society that its visual art seemed to hide and deny. Sometime before 1579, Zhou Lujing, a professional writer living in a bustling commercial town in southeastern China, published a series of lavishly illustrated books, which constituted the first multigenre painting manuals in Chinese history. Their popularity was immediate and their contents and format were widely reprinted and disseminated in a number of contemporary publications. 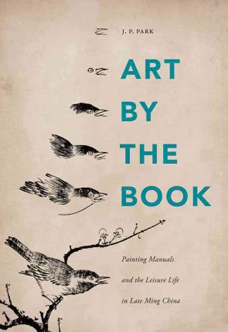 Focusing on Zhou’s work,Art by the Book describes how such publications accommodated the cultural taste and demands of the general public, and shows how painting manuals functioned as a form in which everything from icons of popular culture to graphic or literary cliche was presented to both gratify and shape the sensibilities of a growing reading public. As a special commodity of early modern China, when cultural standing was measured by a person’s command of literati taste and lore, painting manuals provided nonelite readers with a device for enhancing social capital. 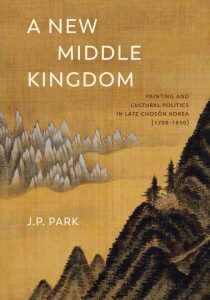 J. P. Park builds on important recent research on social status, economic development, and print publishing in late imperial China to show how a world of social meaning is evident in the literary subgenre of painting manuals, and provides insight into the links between art history, print culture, and social history. 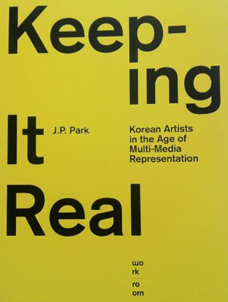 This exhibition catalog comments on the contemporary state of South Korean art by offering a unique and unprecedented opportunity to experience new art forms pioneered by emerging Korean artists working in Seoul, New York, and Europe. The artists in this exhibition lead us into a mysterious, ironic, and hybrid reality, a reality that completely challenges our perceptions of the world as we are conditioned to think about it. The works on view are a series of dialogues that illuminate conjunctures between real life and fantasy which present objects and human behaviors through a creative and conceptual kaleidoscope. The virtual reality in their art—a hyper-­reality materialized in scientific, technological, and global idioms—unerringly subverts our intellectual, experienced, and intuitive knowledge about art and society. These artists belong to a new generation, born since the tumultuous social and political phase of modern Korean society subdued; without the Cold War, without riot police, yet possessing access to the larger world via the internet, opportunities to travel abroad, and products promoted locally by global corporations. The exhibition features photography, video, site-­specific installation, and sculpture and includes the work of eight artists including: Kyung Woo Han, Yong-ho Ji, Yeondoo Jung, Shin-il Kim, Sun K. Kwak, Hyungkoo Lee, Jaye Rhee, and Kiwoun Shin.